"A rising star and also an excellent team player." Oliver Jones is a leading junior, recommended by the major directories across commercial law (Legal 500, Chambers UK Bar, Chambers Global), public and administrative law (Chambers UK Bar) and public international law (Legal 500, Chambers UK Bar). In 2016, Oliver was ranked as one of the top ten commercial juniors at the bar under eight years’ call (Legal 500). The directories have said: “a major star of the future”, “one to watch out for”, “an original thinker”, “fantastically rigorous intellect”, “total glutton for work”, “really mature beyond his years, he is remarkably good”, “brilliant written and oral advocate”, “impresses with his work rate and intellectual ability” and “a safe pair of hands in difficult litigation”. Oliver regularly appears in heavyweight commercial litigation and his current and recent cases include some of the most substantial claims coming before the UK courts: Law Debenture Trust v Ukraine  3 WLR 667 (obtaining summary judgment against Ukraine for US$3 billion in relation to Eurobonds held by the Russian Federation); HP & Autonomy v Michael Lynch & Sushovan Hussain (acting for the former CFO of Autonomy in his US$5 billion dispute with HP over alleged accounting fraud in the lead up to HP’s acquisition of Autonomy); Single Buoy Moorings Inc v Zurich Insurance plc, Infrassure & Ors (acting for the insurers in a US$1 billion coverage dispute concerning damage to an offshore oil platform in the North Sea); and Slater & Gordon v Watchstone plc (acting for Slater & Gordon in its £600 million claim against Watchstone for fraud and breach of warranty). Oliver is also consistently instructed in high-profile public law challenges to decisions of regulators, government departments and other public bodies across diverse areas including tax, gambling and housing, including: R (on the application of Drax Power Ltd) v HM Treasury  2 WLR 194 (a £1 billion challenge to changes to the Climate Change Levy); Paulley v FirstGroup  UKSC 4 (a disability discrimination challenge to the wheelchair policy of bus companies); Nzolameso v City of Westminster  UKSC 22 (a challenge to a local authority’s practice of housing homeless persons outside their districts); and R (Gibraltar Betting & Gaming Association) v Secretary of State for Culture, Media and Sport  EWHC 3236 (Admin) (a challenge to new licensing provisions in relation to remote betting operators). Oliver also has extensive experience of international law and State immunity issues in various contexts, including: Belhaj v The Rt. Hon Jack Straw & Ors  UKSC 3 (in relation to whether claims for mistreatment involving UK officials are blocked by State immunity or the act of State doctrine); R (Noor Khan) v Secretary of State for Foreign and Commonwealth Affairs  EWCA Civ 24 (acting for victims of US drone strikes in a challenge to the legality of reported GCHQ involvement in those attacks); Mid-East Sales v Pakistan  EWHC 1457 (Comm) (in relation to Pakistan’s responsibility for its nuclear weapons development programme); and SerVaas v Republic of Iraq & Ors  UKSC 40 (in relation to the immunity of Iraqi assets from execution). He is a member of the Attorney General's B Panel of Junior Counsel to the Crown, the Attorney General's Panel of Special Advocates and the Attorney General’s specialist Public International Law B Panel. Oliver is also a member of the bar of the British Virgin Islands where he has appeared in a series of asset freezing and jurisdiction disputes. The Law Debenture Trust Corporation plc v Ukraine, represented by the Minister of Finance acting upon the instructions of the Cabinet of Ministers of Ukraine  EWHC 655 (Comm): junior counsel (led by Mark Howard QC) in a US$3 billion claim by the Trustee against the State of Ukraine. The Notes that are the subject of the claim are held by the Russian Federation. The case is one of The Lawyer’s top 20 cases of 2017. HP and Autonomy v Michael Lynch and Sushovan Hussain (2017, High Court): junior counsel (led by Richard Lissack QC and Simon Salzedo QC) for Mr Hussain. Mr Hussain is the former CFO of Autonomy, and is a defendant to a claim by HP that it overpaid in its acquisition of that company by US$5 billion as a result of fraud by Mr Hussain and the CEO, Michael Lynch. Single Buoy Moorings v Zurich Insurance & Ors (2017, High Court): junior counsel (led by Roger Masefield QC) for the Seventh Defendant insurer in a claim by SBM worth approximately US$1 billion for the loss of an off-shore production platform in the North Sea. Slater & Gordon v Watchstone (2017, High Court): junior counsel (led by Simon Salzedo QC) in a £637 million claim by Slater & Gordon in relation to the acquisition of a personal injury litigation firm, Quindell Legal Services from Watchstone. Begum v Hossain  EWCA Civ 717: counsel (unled) for a party to a share purchase agreement pursuant to which the price paid would be determined by way of expert determination. Assuranceforeningen Gard Gjensidig v The International Oil Pollution Compensation Fund  EWHC 3369 (Comm): appeared for the International Oil Pollution Compensation Fund (led by Jonathan Hirst QC) in a challenge to the jurisdiction of the English courts over the Fund on the basis of international organisation immunity. Mid-East Sales v Pakistan  EWHC 1457 (Comm): appeared for Mid-East Sales (led by Hugo Page QC) in a claim relating to Pakistan’s responsibility for debts arising from its nuclear weapons development programme. Deutsche Bank AG v Sebastian Holdings Inc  EWHC 2073 (Comm): led by David Railton QC, Tom Plewman QC and Simon Birt QC in a multi-billion dollar Commercial Court claim concerning foreign exchange and equities trading. It was one of The Lawyer’s top 20 cases of 2013. Mutual Holdings (Bermuda) Limited & Ors v Diane Hendricks & Ors  UKPC 13 (Privy Council): instructed (led by Mark Howard QC) for the Appellants in an appeal against a finding that the renewal of a Bermudan reinsurance scheme had been procured by fraud. Anar & Atrill v Dresdner Kleinwort & Commerzbank  EWCA Civ 394: instructed for the Defendant banks (led by Tom Linden QC and Martin Chamberlain QC) in a claim by bankers in relation to bonuses allegedly promised to them at the height of the credit crunch. It was one of The Lawyer’s top 20 cases of 2012. SerVaas Incorporated v Rafidain Bank & Republic of Iraq & Ors  UKSC 40: appeared (led by Mark Howard QC) for the Republic of Iraq at all levels to resist an attempt by SerVaas to enforce a judgment of the Paris Commercial Court against Iraqi assets on the basis that those assets were immune from execution pursuant to the State Immunity Act 1978. Telenor East Holdings II AS v Altimo Holdings & Investments Ltd  EWHC B5 (Comm): acted (led by Mark Howard QC) for VimpelCom to resist an injunction sought under the Arbitration Act 1996. Templeton Insurance Ltd v Motorcare Warranties Ltd & Ors  EWHC 3113 (Comm): acted (led by Peter Irvin) for the Defendants in a Commercial Court trial regarding unpaid premiums under agreements for the sale of mechanical breakdown insurance. Work v Gray  EWCA Civ 270: junior counsel (led by Maya Lester QC) for Ms Gray, in an appeal concerning the appropriate split of assets following Ms Gray’s divorce from Mr Work, and whether the doctrine of “special contribution” was discriminatory, contrary to Article 14 ECHR (when read with the right to property in Article 1 of Protocol 1) and should therefore be abolished. R. (on the application of Drax Power Ltd) v HM Treasury  EWCA Civ 1030 (Court of Appeal) and  EWHC 228 (Admin) (Jay J): junior counsel (led by James Eadie QC) for HM Treasury, HMRC and the Department of Energy and Climate Change (now the Department of Business, Energy and Industrial Strategy) in a judicial review challenge to the decision of the Government to remove the Renewable Source Electricity Exemption to the Climate Change Levy in 2015. R. (on the application of Gibraltar Betting & Gaming Association Ltd) v Revenue and Customs Commissioners  EWHC 1863 (Admin);  STC 151: junior counsel (led by Kieron Beal QC) for HMRC in relation to a challenge to an Act of Parliament imposing betting duty on providers of betting services operating from Gibraltar on the basis that this violated Article 56 TFEU, the freedom to provide services. Fisher v HMRC (2017, CJEU): junior counsel (led by David Ewart QC) in a reference to the CJEU in relation to the constitutional status of Gibraltar as a matter of EU law (in relation to the free movement of capital and the freedom of establishment). Paulley v FirstGroup  UKSC 4;  1 WLR 423: junior counsel (led by Martin Chamberlain QC) for FirstGroup in a challenge by Mr Paulley to the wheelchair use policy on its buses under the Equality Act. R (on the application of Lee-Hirons) v Secretary of State for Justice  UKSC 46;  3 WLR 590: junior counsel (led by Martin Chamberlain QC) for the Secretary of State for Justice in a claim by a mentally ill person for a declaration and damages for unlawful detention. Groupe Eurotunnel SA v Competition Commission  UKSC 75;  2 All ER 631: junior counsel (led by Marie Demetriou QC) in a challenge to the Commission’s decision that the acquisition by Eurotunnel of various assets from the liquidation of SeaFrance, which had operated Channel ferry services, constituted a “merger” and thus could be subject to the Commission’s jurisdiction. Watts v Stewart & Ors  EWCA Civ 1247;  2 WLR 1107: counsel (unled) for the Secretary of State in relation to a claim for a declaration of incompatibility in respect of the exclusion of residents of almshouses from security of tenure on the basis that the exclusion was a breach of Article 14 ECHR. Southward Housing Co-operative Ltd v Walker  EWHC 1615 (Ch): counsel (unled) for the Secretary of State in relation to a claim for a declaration of incompatibility in respect of the exclusion of residents of housing co-operatives from security of tenure, which was said to be a breach of Articles 8 and 14 ECHR. RA v LCC & Ors (2016, High Court): counsel (unled) for the Legal Aid Agency in relation to the application of the statutory charge to amounts recovered in proceedings in a claim for breach of the claimant’s Article 8 ECHR rights. Wakefield Metropolitan District Council v Haynes (2016, High Court): counsel (unled) for the Legal Aid Agency in relation to the application of the statutory charge, in relation to a claim for breach of the claimant’s Article 8 ECHR rights. R (on the application of Jones) v Secretary of State for the Home Department: counsel (unled) for the Secretary of State in a challenge to the Secretary of State’s decision that because of the Claimant’s fraud in applying for naturalization, his British citizenship should be declared void. Nzolameso v City of Wesminster  UKSC 22: junior counsel (led by Martin Chamberlain QC) for the Secretary of State in a challenge to the lawfulness of decisions of local authorities to house homeless persons significant distances from the local authority’s district. R (Totally Wicked) v Secretary of State for Health and R (British American Tobacco) v Secretary of State for Health (2014, High Court): instructed for the Secretary of State (led by Mark Hoskins QC) in various challenges to the provisions of the new Tobacco Products Directive. R (Gibraltar Betting & Gaming Association Ltd) v Secretary of State for Culture, Media and Sport  EWHC 3236 (Admin): instructed for the Secretary of State (led by Kieron Beal QC) in a challenge to new licensing provisions in relation to remote betting operators. R (Drax Power Ltd) v Secretary of State for Energy and Climate Change  EWCA Civ 1153: acted (led by Martin Chamberlain QC) for the Secretary of State in a challenge to his decision not to award a £1.3 billion renewable energy subsidy contract to Drax. R (Noor Khan) v Secretary of State for Foreign and Commonwealth Affairs  EWCA Civ 24: junior counsel (led by Martin Chamberlain QC) a family member of a victim of US drone strikes in Pakistan in a challenge to the legality of reported GCHQ involvement in those attacks. R (British Horseracing Authority) v Horseracing Levy Board  EWCA Civ 487: acted (led by David Anderson QC) for Betfair (the Interested Party) in relation to a challenge to the Board's decision to impose horseracing levy on customers of betting exchanges. R (Tottenham Hotspur Plc) v Olympic Park Legacy Company, the Mayor of London & Others (Administrative Court): appeared (led by Martin Chamberlain QC) for the Mayor of London in relation to the challenge to the decision to award the lease of the Olympic Stadium to West Ham football club. R (Luton BC & Ors) v Secretary of State for Education  EWHC 217 (Admin): appeared (led by Jemima Stratford QC) for Waltham Forest in its challenge to the lawfulness of the Secretary of State for Education's decision to cancel the Building Schools for the Future Programme. R (on the application of Salford Estates) v Salford City Council  EWHC 2135 (Admin) (Administrative Court): appeared (led by David Elvin QC) for Tesco Plc (an Interested Party) to resist a challenge by Salford Estates to a decision of Salford City Council to dispose of land to Tesco for the construction of a supermarket. Matrix SCM-Limited v London Borough of Newham  EWHC 2414 (Ch): appeared (led by Fergus Randolph QC) for Matrix in a challenge under the Public Contracts Regulations 2006. 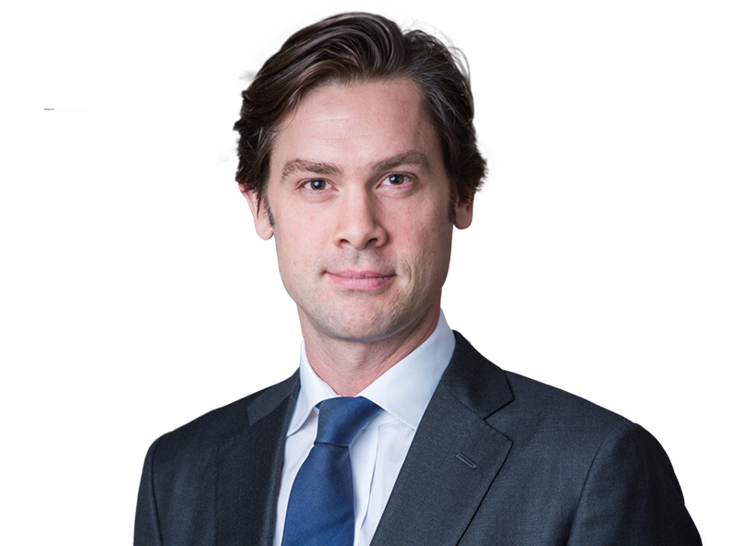 Matrix SCM-Limited v London Borough of Newham  EWHC 2414 (Ch): appeared for Matrix (led by Fergus Randolph QC) in a challenge under the Public Contracts Regulations 2006. Oliver Jones, “The Cliff Edge: Transitional Arrangements for Jurisdiction and Enforcement of Judgments Post-Brexit”, Journal of International Banking and Financial Law (April 2017). Oliver Jones, “The return of the anti-suit injunction post-Brexit?”, CDR Magazine (December 2016). Oliver R Jones and Robert McCorquodale, “Sovereign Immunity from Enforcement of Debts”, Journal of International Banking and Financial Law, 2012. Oliver R Jones and Chido Dunn, "Supreme Court of Zimbabwe: Commercial Farmers Union et al v Minister of Laws & Rural Resettlement et al - Introductory Note" (2011) 50 International Legal Materials 653. Oliver R Jones and Chido Dunn, "Legal Documents Relating to Land Reform in Zimbabwe" (2010) 49 International Legal Materials 1380. Contributor to Contract Law: Cases and Materials (BPP Law School, 2010). Oliver R Jones and Chido Dunn, "Consent, Forced Renegotiation and Expropriation in International Law" (2010) 26(3) Arbitration International 391. Oliver R Jones, "State Responsibility for the Actions of Private Military Firms" (2009) 24 Connecticut Journal of International Law 239. Oliver Jones "Australian constitutional guarantee of acquisition on just terms"  2 Bulletin of International Legal Developments 4. Bar Vocational Course, City Law School, 2008-2009 (1st in year, Outstanding). Bachelor of Civil Law, University of Oxford, 2007-2008 (Distinction). Bachelor of Laws, University of Sydney, 2001-2006 (1st in year, 1st class). Bachelor of Arts, University of Sydney, 2001-2004 (1st class). Lord Scarman Scholarship (City Law School). Oxford University Press Prize for Advocacy and Civil Procedure (City Law School). Student of the Year, Ede & Ravenscroft Wig and Gown Prize (Lincoln's Inn). Lord Mansfield Scholarship (Lincoln's Inn). Hardwicke Entrance Award (Lincoln's Inn). Peter Cameron Sydney-Oxford Scholarship (Sydney University). Prizes for 1st place in Contract Law, Advanced Contract Law, Equity and Trusts, Company Law and Legal Ethics (Sydney University).